Hey New Haven moms and dads, are you looking for something unique to do with the kids? Then bring your wee ones to Barcade! 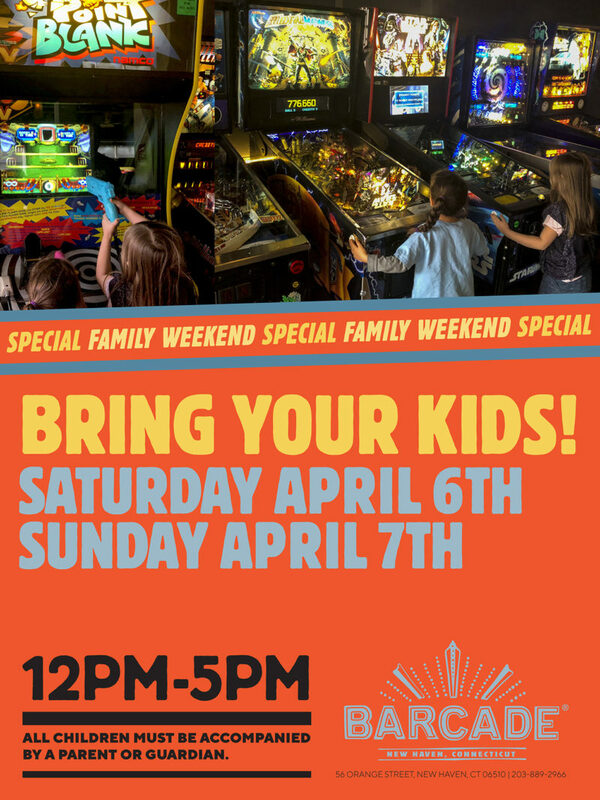 We’re having another FAMILY WEEKEND at Barcade! Bring your kids to our New Haven location on Saturday, April 6th and Sunday, April 7th, from 12:00PM-5:00PM! We’ll have a kids menu, arcade games, and fun for the whole family!